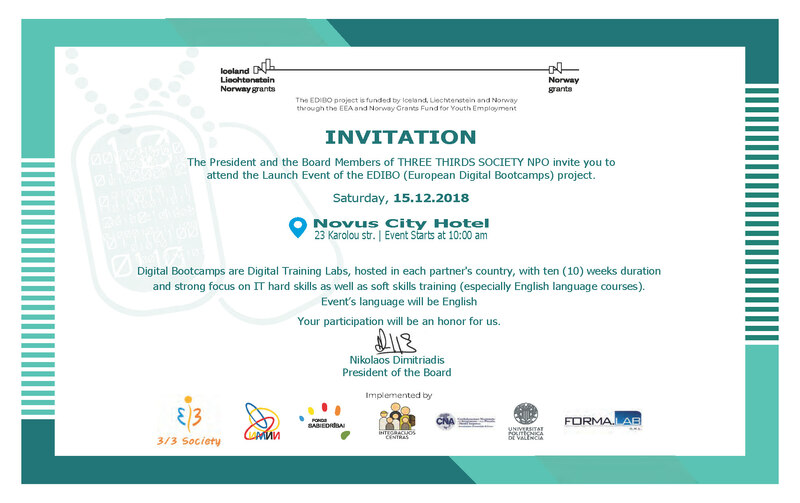 The President and the Board Members of THREE THIRDS SOCIETY NPO invite you to attend the Launch Event of the EDIBO (European Digital Bootcamps) project. Digital Bootcamps are Digital Training Labs, hosted in each partner’s country, with ten (10) weeks duration and strong focus on IT hard skills as well as soft skills training (especially English language courses). Event’s language will be English. Your participation will be an honor for us.